Typically when we take a vacation, one of our staff members will be around to address any urgent situations. This will be the case in June when Stacey is on vacation for a week. During this week all graphics / illustrations and design work in general will be halted until she returns. 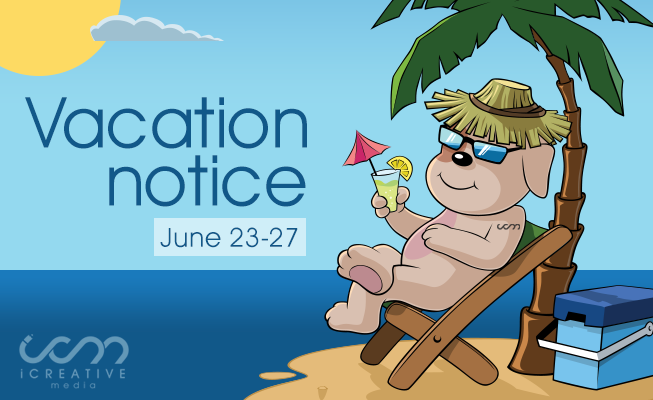 The vacation dates are June 23-27. Dragos will be available for any urgent requests, coding and typical maintenance tasks.